"all item received on time and all brand new - company i'm working has backup that needs to be run everyday so purchasing this from PBTECh with an quick delivery is a bliss. 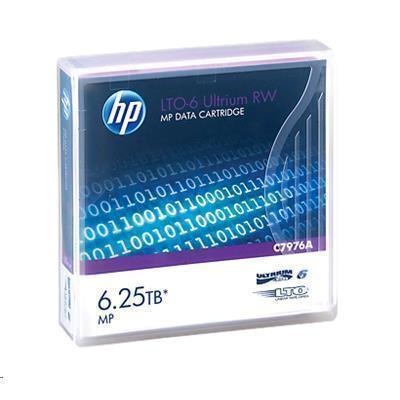 Exhaustively tested, HP LTO Ultrium cartridges meet all your demands for maximum reliability when restoring data, offering high storage density, ease of management and scalable storage and backup performance. Covering six generations of capacity - LTO-1 (200 GB), LTO-2 (400 GB), LTO-3 (800 GB), LTO-4 (1.6 TB), LTO-5 (3 TB), LTO-6 (6.25 TB) - and with transfer speeds of up to 1.4 TB/hr for LTO-6, there is a platform for every need and budget. From LTO-3 onwards, LTO Ultrium WORM cartridges enable the creation of compliant, permanent and tamperproof archives. 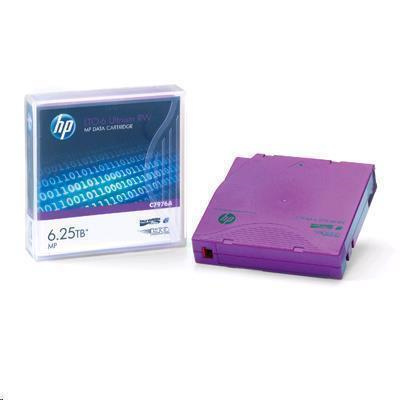 - HP LTO-6 Ultrium can write or read data at a blistering 1.4 TB/hour, storing, encrypting and protecting up to 3 TB on a single cartridge, making it the big hitter in large-scale, 24x7, mission-critical IT environments. - A 70% increase in the number of tracks has increase the bit density, allowing more data to be recorded in the same amount of tape: from 1,280 tracks for LTO-5 to 2,176 tracks for 6th generation HP LTO-6 Ultrium 6.25 TB cartridges. 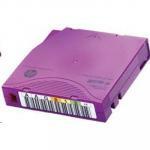 - LTO Ultrium cartridge memory chip delivers faster access time and enhanced media monitoring. - First time restore ensured with fewer media failures and disrupted backups, regardless of duty cycle or environmental conditions. - Superior 'smart grabber' mechanism and mechanical interlock to prevent the leader pin from being pulled inside the tape housing. Sensors detect proper connection and prevent leader loss that would ruin the tape. - Simplified tape path to reduce wear and tear and build up of and debris (important in automation). - HP brand qualification test procedures (load/unload, shoeshine, drop testing and environmental stress testing) go far beyond what is required for the LTO Ultrium logo. This ensures maximum reliability for restoring your data. 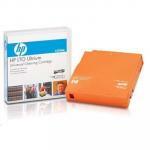 - HP warrants LTO Ultrium cartridges for up to 30 years archival life. This ensures businesses can meet the ever-increasing demands of regulation for data retention and archiving. - Write-Once-Read-Many (WORM) version provides tamperproof, compliant data storage. 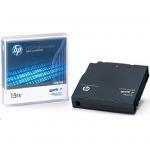 - Data encryption for enhanced data security on HP LTO-4, LTO-5 and LTO-6 Ultrium. Compliance with FIPS 140-2 level 1 security standards. 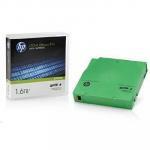 - Standardizing on HP LTO-5 or LTO-6 Ultrium delivers the capacity to meet shrinking backup windows, industry-standard, AES 256-bit encryption (IEEE1619.1), and interchangeable RW or WORM media; without extra space or IT resource overhead. - Open standard technology ensures compatibility across product generations and gives you more choice. Cartridges are available as Custom Labeled, Non-Custom Labeled (both Custom and Non Custom include RFID options from LTO-4 onwards) and non-labeled versions. all item received on time and all brand new - company i'm working has backup that needs to be run everyday so purchasing this from PBTECh with an quick delivery is a bliss. Thank you.all item received on time and all brand new - company i'm working has backup that needs to be run everyday so purchasing this from PBTECh with an quick delivery is a bliss.